A Marion man is under a $1 million bond for multiple gun and drug offenses, deputies said Tuesday. It was the second time in less than a month he was nabbed in a traffic stop by the same deputy. Deputy Robert Watson of the McDowell County Sheriff’s Office charged Daniel McCoy Bradley, 40, address listed as Casey Drive in Marion, with trafficking methamphetamine, possession with intent to sell and deliver methamphetamine, possession of marijuana, possession with intent to sell and deliver marijuana, maintaining a vehicle to keep a controlled substance and possession of drug paraphernalia. 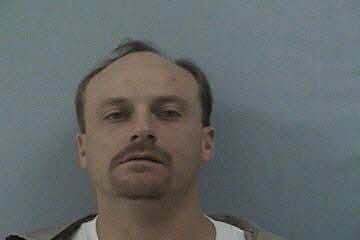 Troopers with the N.C. Highway also charged Bradley with multiple traffic offenses, including possession of an open container of alcohol and driving while license revoked. On the evening of Monday, April 1, Watson was patrolling on Stacy Farm Road in Nebo, when he noticed a Mitsubishi Eclipse with a fictitious tag. Watson, along with help from state troopers, stopped the vehicle and found Bradley driving, according to a release from the Sheriff’s Office. A search revealed 253 grams of methamphetamine, 60.86 grams of marijuana, drug paraphernalia and cash. Watson also stopped Bradley’s vehicle on Monday, March 4 for traffic violations and located three stolen handguns, 21.5 grams of methamphetamine, cash and drug paraphernalia. In that incident, he was charged with possession of a stolen firearm, possession of a firearm by a felon, possession of methamphetamine, possession with intent to sell and deliver methamphetamine, maintaining a vehicle to keep a controlled substance and possession of drug paraphernalia. Bradley was ordered to appear in court on those charges on Wednesday, March 27, but he failed to do so. He was placed in the McDowell County jail Monday night, April 1 under a $1,000,500 bond. According to the N.C. Department of Public Safety, Bradley has convictions dating back to 1999, including assault, receiving a stolen vehicle, larceny of a stolen vehicle, possession and manufacturing of drugs and possession of firearm by a felon.